If you’re looking to retire to Romania or move here, Cluj Napoca (commonly referred to as Cluj) might be a perfect choice. It is the fourth largest city in Romania, far behind Bucharest and very close to Timisoara and Iasi. It is also one of the very few cities in the country where the population is growing instead of decreasing rapidly. But why would you like to make Cluj your next home in Romania? We’re going to talk about all the reasons in today’s article which will hopefully help you understand more about this beautiful Romanian city. So without further ado, let’s see if you should move or retire to Cluj, Romania (or not)! A city with rich history, the first official information dates back to around 106 A.D. after the Romans conquered Dacia. During the middle ages, the city was occupied Hungary and was officially a part of the Austro-Hungarian Empire until 1918 and for a brief period of time in the 1940s. As a result, the majority of the population of Cluj Napoca was Hungarian by the late 60s, when things shifted because of the communist regime that sent Romanian workers for the industrialization of the area. Until 2004, the city was led by a Romanian nationalist figure that promoted hate against the Hungarians and as a result of his policies, the city stagnated due to a lack of investments. But since 2004, when the nationalist leader lost office, Cluj started to grow rapidly and establish itself as one of the most important cities in Romania: as a major part of the country’s economy, as well as a city of culture and arts. 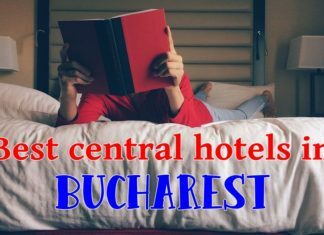 Located in the North-Eastern part of the country, it is close to other important cities in the area, like Oradea, Alba Iulia, Targu Mures and Sighisoara. Cluj Napoca is also one important university city in Romania, one of the greatest in the country, together with Bucharest, Timisoara or Iasi. In other words, the young population is mixed well with the older one and offers opportunities for all age ranges. Cluj is also one of the most beautiful cities in the country, with many old buildings still standing and in a good shape. The old city center is specifically charming. The city also has an international airport (which grows in terms of destinations on a yearly basis), as well as the train station that connects it to the rest of Romania. It’s also relatively close to Budapest, being situated in the middle between Budapest and Bucharest. Most of the areas in Cluj are great choices to live in and you should pick the place where you want to live based on an important factor: proximity to your work place or university. If none of these matter, then your obvious bet is to live as close to the old city center as possible, as that is where the most important attractions in the city are, as well as restaurants and shops or the parks and the beautiful Botanical Garden. Other great areas to live in are those relatively close to the city center: Zorilor to the South and Marasti and Intre Lacuri to the East. So you have a lot of places to choose from, which is a good thing (see the reasons below). Since Cluj in one of the fastest growing cities in Romania, the cost of living in the city – especially rental prices – is very high. Actually, it is not uncommon for apartments or houses to cost more than they do in Bucharest. This is mainly a reason to the huge demand for housing, usually from well paid IT workers which are drawn into the city by promising start-ups or established international corporations. Therefore, you can find studios renting for up to 500 euros per month (which is huge by Romanian standards), while 1 bedroom apartments are sold for 60,000 euros and above. So definitely a big con for those looking for the cheap cost of living Romania has to offer. Fortunately, everything else is priced by regular Romanian standards, meaning that it is cheap. You can check out the cost of living article I have written in order to have an idea about food prices and other costs in Romania. 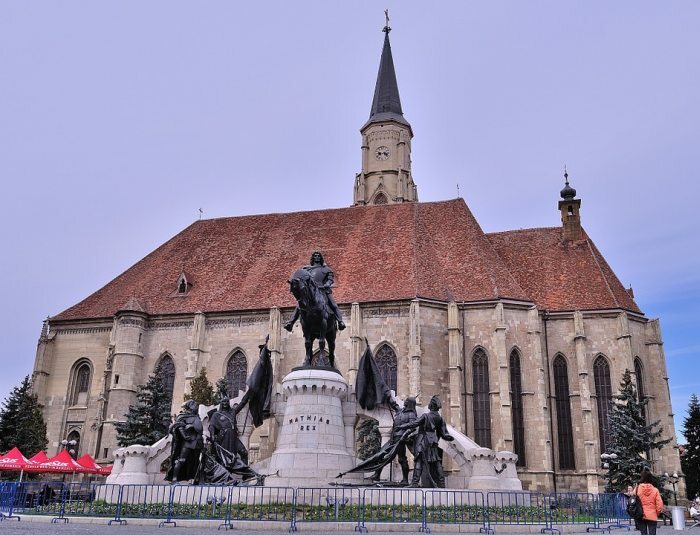 Cluj Napoca is a vibrant, beautiful city with a growing interest in culture and arts. As a result, the offers in these areas keep coming and coming. 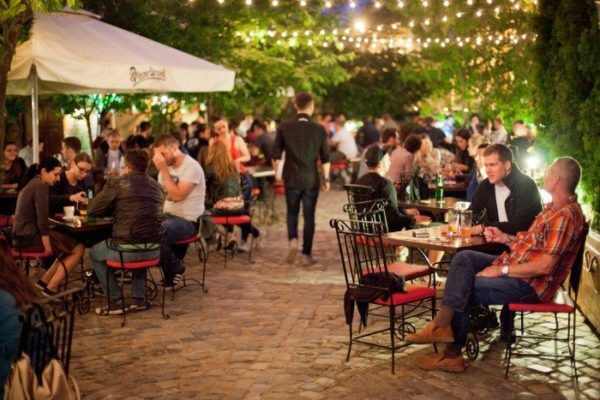 Being a city that draws in a more affluent population, it also has some higher standards of living compared to your regular Romanian city, but since it also has a lot of students, if offers a lot of options when it comes to cheap entertainment and living. In other words, Cluj can be exactly as you want it to be: a young city with all-night parties, cheap alcohol and cheap food; or a higher brow city, with classical music, chic restaurants and luxury accommodation for you. Which is a great thing – there are few cities that can mix and match two completely different types of living as nice as Cluj does. 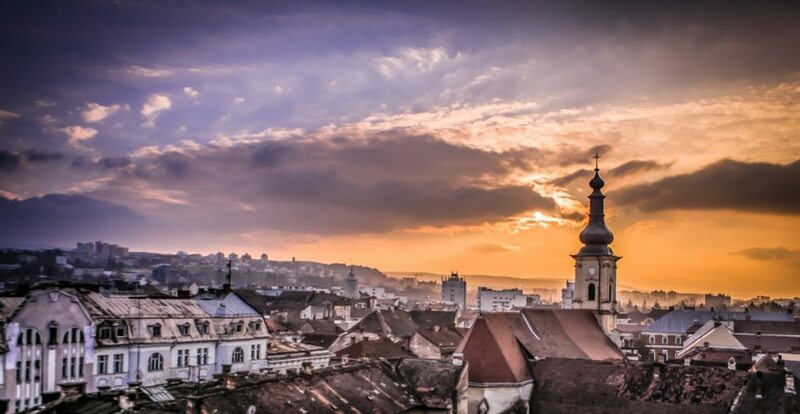 Cluj Napoca is one of the fastest growing cities in Romania, if not THE fastest growing one. Successful businesses are being launched here, international corporations open branches in the city and it seems like a haven for better paying jobs, especially in the IT department. The city itself has a lot to offer, from the beautiful architecture to the amazing green spaces that Romania is known for. With a pretty large expat population (at least compared to the rest of Romania) and its centuries spent under Hungary’s occupation, this is a very Western city too. English is widely spoken and there are opportunities to easily meet new people, no matter what kind of friends you’re looking for. It is a city where a family of three could live on 1,500 Euros per month if they’re living like the locals do (many still spending less than that amount for their daily living), but where you will have to pay a bit more than in other Romanian cities if you want a nice apartment, eating out a lot and enjoying all the entertainment options this beautiful city has to offer. 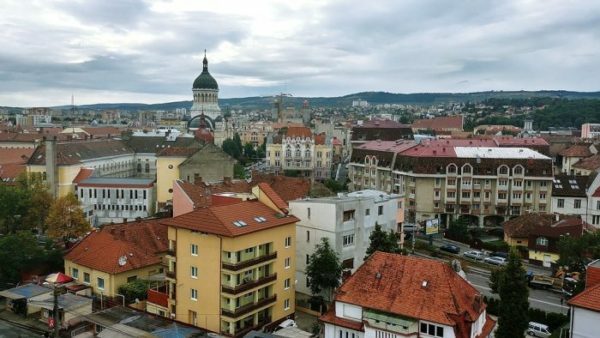 If Cluj is not your type of city, I’ve written in-depth analysis of other potential cities to move to or retire to in Romania: Drobeta Turnu Severin (extremely cheap! ), Timisoara, Brasov or Bucharest. Have you been to Cluj Napoca in Romania? Are you planning to move here or retire in this city? Let us all know by commenting below! Previous articleHow Much Money Should You Budget for Your Vacation in Romania? Cluj Napoca sounds like it would be a lovely way to ease into the Romanian lifestyle. We didn’t get to visit, but it looks very nice. I can understand why it’s a rapidly growing city, especially for IT workers. Next time hopefully 😆. Since it’s so far away from Bucharest, it’s relatively difficult to visit both during a stay in Romania… but it is indeed worth it. And just like Bucharest, it has some impressive attractions just a stone’s throw away, like the impressive Turda saltworks. What is the crime rate in Cluj? Beggars, and dogs a nuisance? Seems more expensive then Bucharest, though. without Audis, BMWs, Mercedes, etc.? Today is our last day is Spain and it has been cloudy and rainy for the past three days. Not the weather we were expecting (it was colder than in Romania, for example, so not so many trips to the beach as we had hoped for). Back to Cluj, it does offer a solid mass transit system. Although there’s no metro in Cluj, the buses and trams to a great job at offering reliable transportation throughout the city. Regarding the other aspects – crime rate, beggars and dogs, they are at about the same levels as in all the other large cities in the country. I wouldn’t consider any a problem worth mentioning, but not completely out of the picture either. Ok! Next trip to Romania Cluj is a must see for me! I am sure that you will absolutely love it, Tim! And don’t miss the saltworks in Turda once you get there, it’s a pretty spectacular thing to see as well. I have been noticing some significan inflation of late. Especially in the housing are and 600 Euro a month for a studio is insane high. Rates in major U.S. cities go for that. Family of three for 1500 3 euro is like $1800 u.s. a month so I would call it about $2,000 a month for a family of 3 and that is significanly higher than it was. The Euro to Dollar exhange is horrible ever since our crazy clown took over this country. I am looking forward to the latest deep dive cost of living analysis that you do as I fully expect it to be quite a bit higher than it has been in the past. Looks like it has jumped in the last 2-3 years from what I have seen. But again.. looking forward to you latest data. I also hope this inflation slows down as this has got to be putting a strain on the general population as average wage surely can not be keeping up. Still love Romania and its people and despite all we are looking forward to returning to Romania in a couple of years. Keep up your great work C! You are absolutely correct about the inflation rate. One of the reasons behind this is, strangely, the fact that all the wages in Romania (minimum wage and state worker wages) have gone up by quite a bit. We are writing down all our expenses and we have seen costs go up a lot in the past year, but I was fearful that it might be just poor spending on our side. It’s definitely not just that and the cost of living is definitely going up. Renting in Cluj has been very expensive due to the high demand and low offer, combined with the higher paid jobs available that drive prices even higher. You can still find fairer priced studios in the city at 300 euros per month – as you can in most cities. In the city where I live, for example, you can still find studios for rent at 100 euros per month. So the prices haven’t gone up dramatically all over the country – at least not where rents are involved. But for the daily shopping basket, prices are indeed higher. Sorry to get off-topic but I am very upset about what is happening in Bucharest right now. It appears the Constitutional Court has sided with the corrupt PSD government of Romania and has ruled that President Iohannis must fire the independent prosecutor Laura Codruta Kovesi who has been so successful in jailing numerous corrupt government officials. Ever since this government won election in December of 2016, it has been creating economic havoc and driving up inflation. Led by the convicted felon Liviu Dragnea, the government has tried to legalize bribe-taking up to 50,000 Euros, to reduce prison sentences for those already convicted and finally to get rid of the prosecutor who has been a thorn in its side. When they tried to legalize bribery, 100s of thousands of Romanians went into the streets to protest until the government backed down. Where are the Romanians now??? Why are they indifferent to this usurpation of power? President Iohannis is faced with an impossible decision. Does he comply and admit that the Presidency has absolutely no power, or does he refuse to fulfill the Court’s decree and face suspension and an impeachment referendum? The latter course would seem the more honorable one, but it would mean the corrupt government could appoint an interim President who would fire the Prosecutor just the same. I am surprised how indifferent the Romanian people seem to be. What do you think, Calin? Yes, everything you said is correct. The reason why there weren’t as many protesters is that the decision still doesn’t change anything. There have also been protests, but of a much smaller scale and there was a bit of violence involved too. However, the main reason why the people are not flooding the streets (yet) is that, as I said, the decision doesn’t change anything. The same Court has decided that the Romanian parliament must be of 300 people, but the numbers haven’t changed. If Kovesi would indeed be removed from her position (which has been tried over and over again by the current government who basically has her only as a thorn in their back), I am sure that protests would be similar to the large ones before. Either way, though, the intentions of the current government are obvious, but they would still win the next elections in the country (my guess at least). That’s the sad reality right now in the country. So if they can’t win this time, they will keep trying until they will. I remember when Klaus Johannis was elected President of Romania. Over 11.5 million Romanians participated in that election, many of them in the diaspora outside Romania. It was pointed out that the current PSD/ALDE government was elected in an election in which only 6.5 million Romanians participated, according to Wikipedia a roughly 39.5% turnout. The presidential election before it had a 64% voter turnout in the second and final round. I think the same thing happened in Romania that happened in the USA: many voters just didn’t show up. I would hope that they will be wide awake next time. I guess one should see it from a very selfish point of view: the more the government screws up the economy and creates more inflation, the better it is for any expatriates who decide to live there. I would really rather live in a country where the inhabitants are happy, though. Spot on, Stuart! Even more, out of those who have decided to show up an vote, most were old people who, by tradition, vote with PSD. We’re talking about uneducated people, people living in villages (who do what the village priest says, or the mayor) and old people who believe that PSD wants to do good. They always try to increase pensions and take care – at least in this area – of their voters. I remember reading that the older voters outnumbered the younger ones 3 to 1… There are also some very large TV networks that manage to manipulate the population and deliver fake news as facts. During the large protests, when all the data was showing something else, they were claiming that just a few thousand people were protesting and that they were violent and so on.